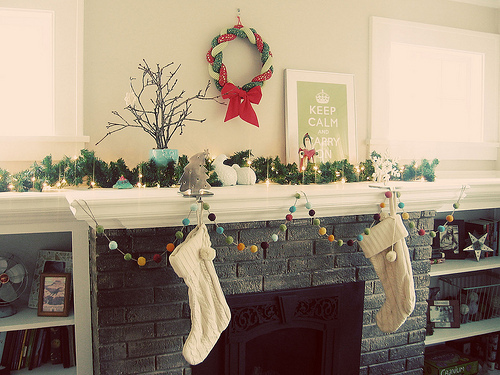 Nothing is as cute as handmade Christmas decorations - perfectly imperfect and totally lovable for years to come. I am NOT a fan of holiday chintz, and these are simple, fun and (luckily) look easy enough to make. 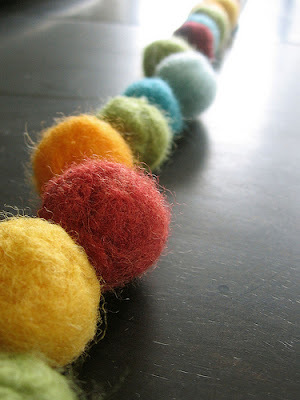 I want to curl up while watching a movie and make hundreds of these felted balls, then string them all over our mantle and entryway. Just the right amount of color and festivity without being over the top. 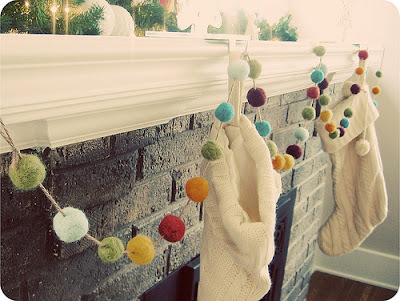 Read on to see how to make your own felted garland (tutorial compliments of Small Bird). "I used about 1.5 oz. wool roving in several colors, and got about 48 balls out of it. I needed two pairs of stockings to tie up the roving, and used the washing machine technique for felting. The problem was that wherever the stocking gathered between knots, it created a crease in the felted ball. I wound up with 48 little brightly colored…fannies (which you can sort of see in the bowl in the photo below). Ahem. So I hauled my fanny to the craft store and bought some needle felting tools. I’d only tried needle felting once, at a sheep and wool festival, but that little demo provided me with all the knowledge I needed for this project i.e., stabstabstabstabstabstabstab..."
"I arranged the various felted balls in a perfectly random pattern (I know, I have a problem), and used a natural, twine-colored worsted weight yarn to string them." And if you are anything like me, you probably want to see this technique in action. I did a quick YouTube search to see this felting technique in action. 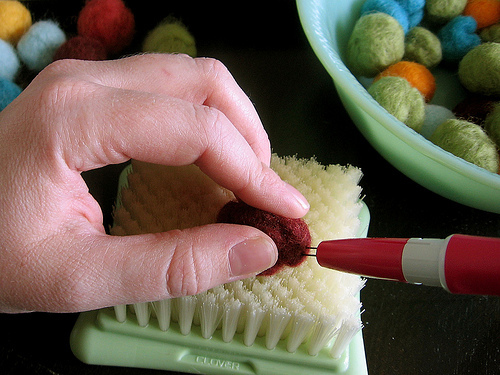 Here is a step-by-step on the water felting technique. This seems like a fabulous needle felting & water felting tutorial that is a little more involved than above, but definitely gets a great result. Good luck! So adorable! Wish I had the time and patience to make this. very festive and charming...beyond my scope of ability but I can dream. I love your blog! 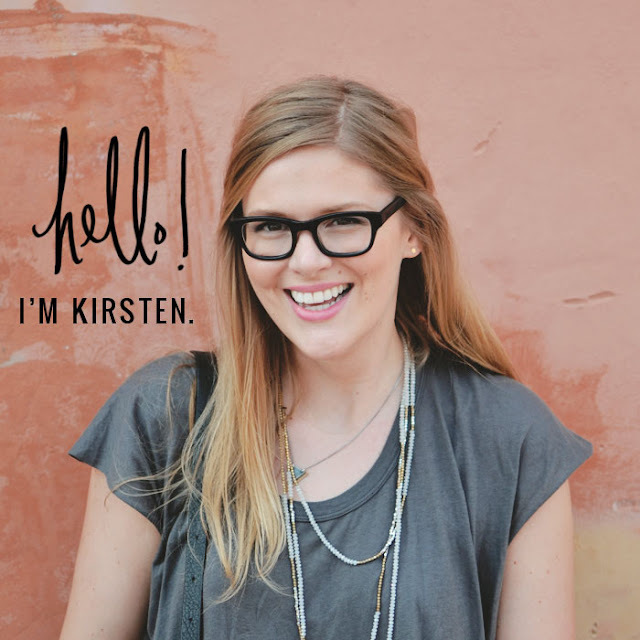 Thanks for emailing me :) I've linked you on my site! oh my goodness...so adorable....with kids' expectations for everything red and green, though...it won't make this year...but I LOVE The idea...i absolutely LOVE the color scheme the best.